My trip to Norway this past September took me above the Arctic Circle. I had long wanted to go to the Lofoten Islands and drive on one of Norway’s National Tourist Routes. I figured there would be more metal on the radio since Norway has a pretty famous Black Metal scene, but alas I got to listen to The Chainsmokers over and over and over. No one cares about the back seat of your Rover man. But I digress, and this blog post certainly isn’t about musical tastes. 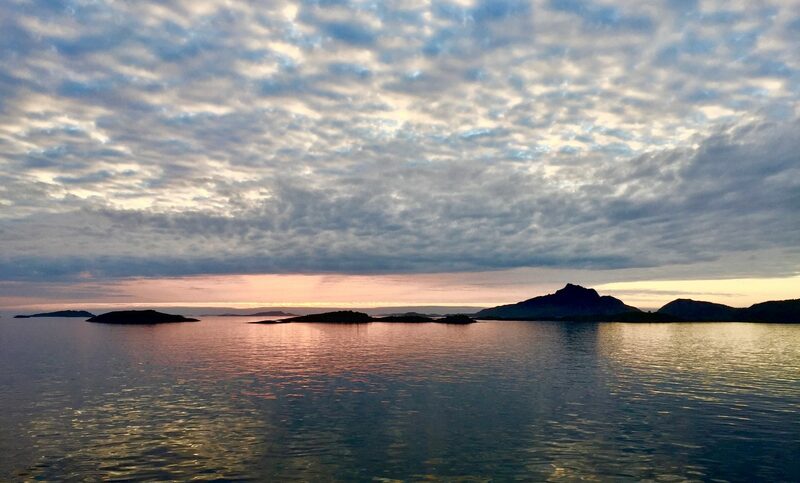 It’s about the amazing, overwhelmingly beautiful landscape of the islands melded together with the wonderful Nordic light. Beaches become mountains within the span of a few hundred meters. Nature (and cod) is king here, we’re just living in it. After taking the express boat from Bodø across the Vestfjorden, I arrived in Svolvær. 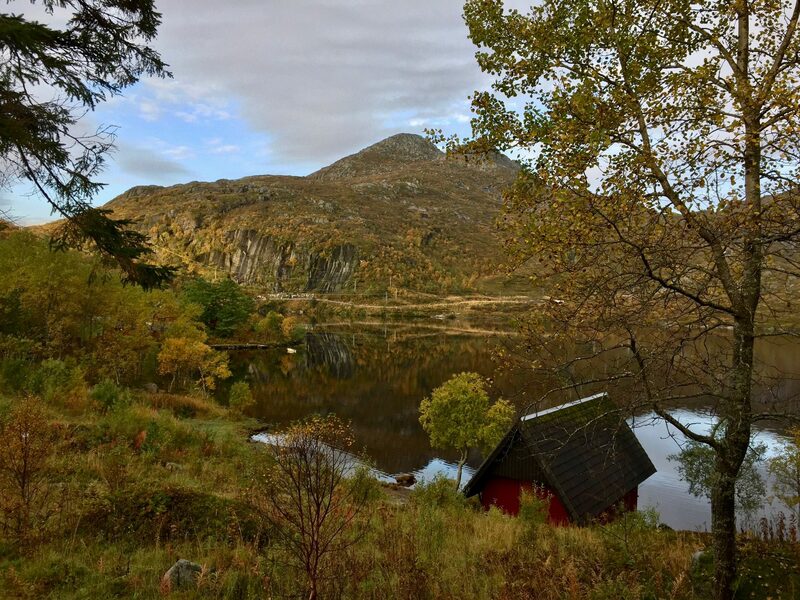 After stealing hotel wifi in order to get walking directions (I had no cell service whatsoever in the islands, and it was pretty awesome), I arrived at my destination – a cabin on a lake on the outskirts of a town with approx. 4,000 people. Walking to the cabin that night, I didn’t really get much of a glimpse of the beauty that surrounds the town – but this rapidly changed come morning. There aren’t many better ways to wake up in my opinion. Such a beautiful landscape and this was only the beginning. After a quick breakfast it was off for the 30 minute walk back into the center of town to get my rental car (after using wi-fi to download directions). The walk didn’t disappoint. 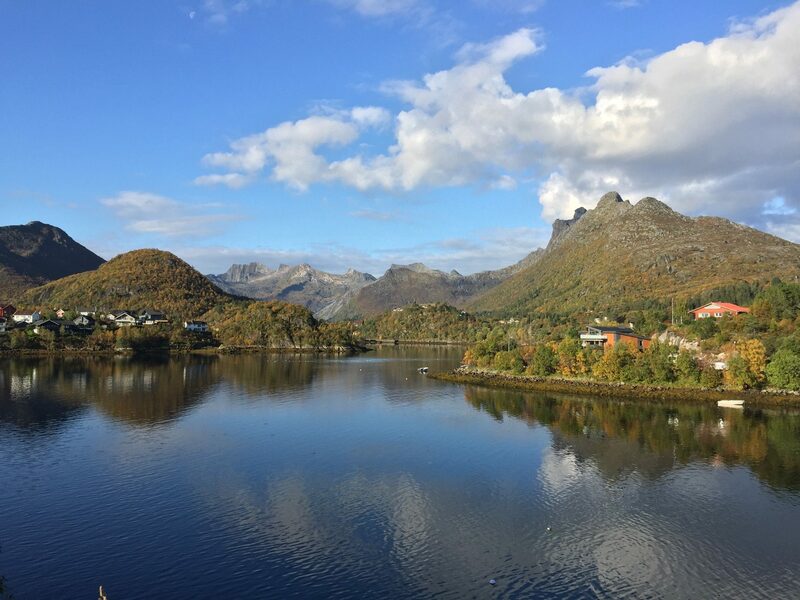 After grabbing my rental car, I went west on E10-the Lofoten Tourist Route, also known as King Olav V’s Road. The landscape that came with it was pretty regal. Tunnels, bridges, all working within the landscape. I was distracted many times by the landscape so it’s a good thing the speed limit was 80 km/h (50mph). 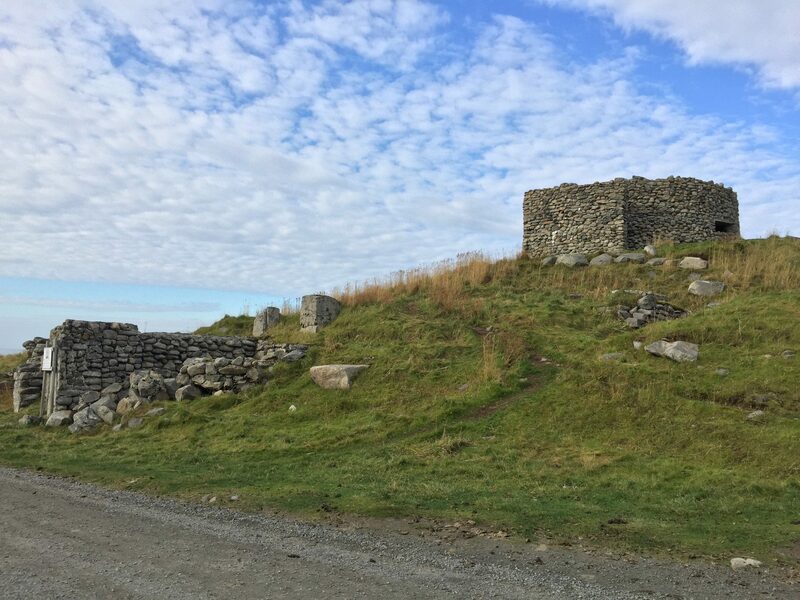 I decided my first stop would be a place I had long wanted to visit a little off the road on the Northern coast of the island of Vestvågøy – Eggum. Eggum is a small fishing village with a lot of sheep well known for watching the Northern Lights and just so happens to have a building by another of my favorite architecture firms, Snøhetta. 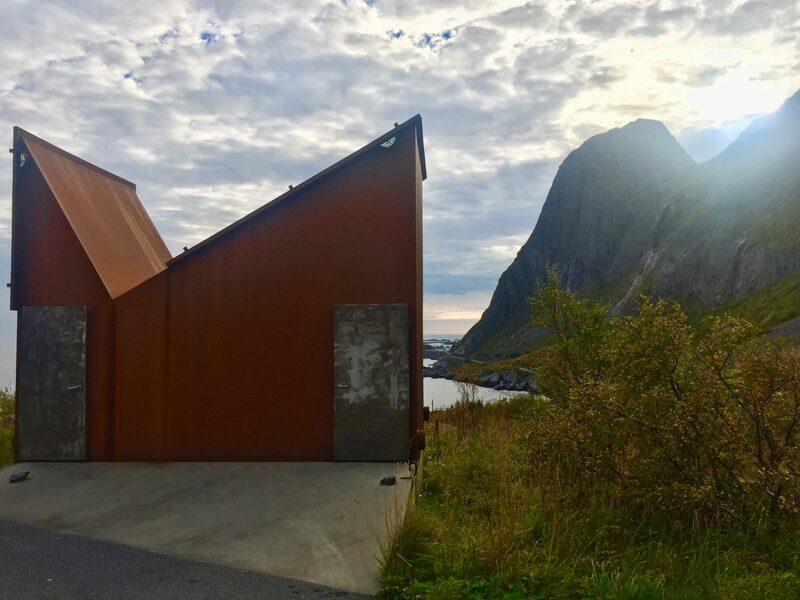 On the site of a former Nazi radar post that was used to watch for Russian subs during WWII, Snøhetta has created an amenities building (or rest stop) that blends into the surrounding nature. 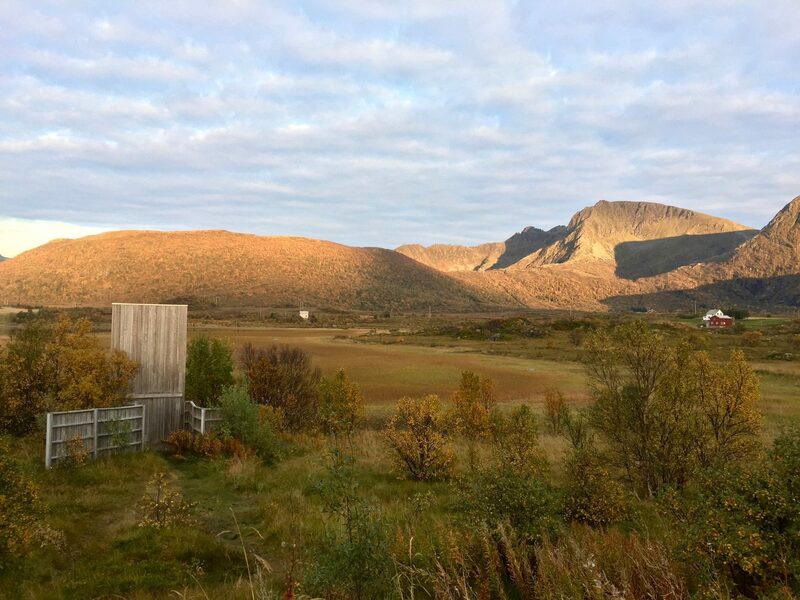 A wood clad box juts out from a cut within the landscape held back by gabion boxes calling to the materiality of the radar station and the mountainous landscape. 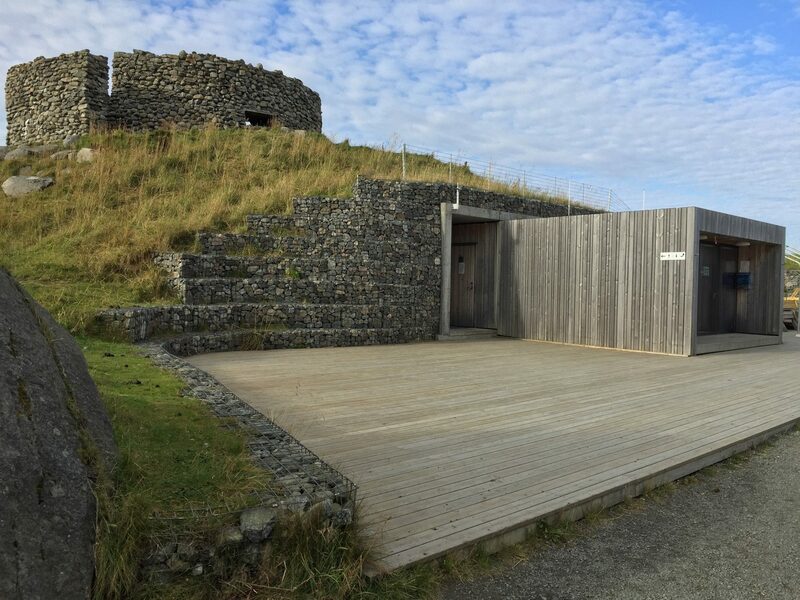 It’s a beautiful synthesis of architecture, nature, and history set on the edge of the Norwegian Sea. It also so happened to inspire me to create a painting incorporating this view of Eggum encompassing Mountain, Ocean, and Landmark (click here to view). I found the old Nazi radar station to be quite fascinating both in material and history – and the supports for the radar itself still remain on site. 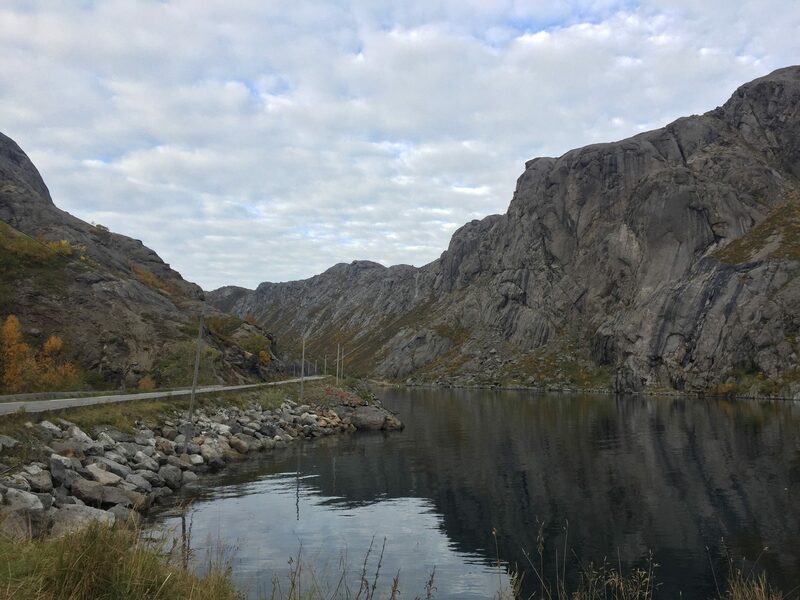 After departing Eggum and getting back on the E-10, I went further west and decided to drive to Å – the end of the Lofoten Tourist Route. The landscape was quite beautiful, but a lot of the town had already packed up for the summer. Luckily, Reine was close by to grab some lunch. 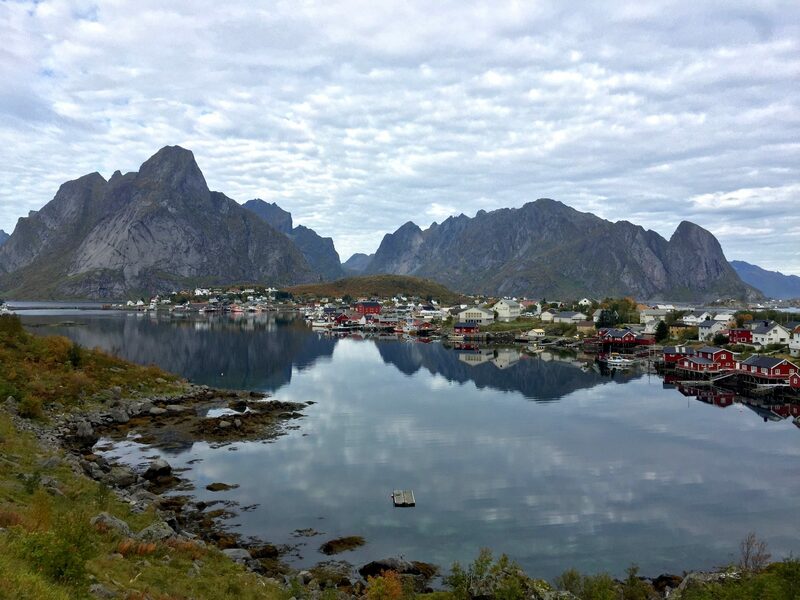 Reine definitely has one of the “you’ve seen this picture in every post you’ve ever seen about Norway” post card qualities and the way the ocean meets Reinebringen is stunning. After grabbing some items for lunch at a market – including Norway’s awesome Sørland chips – I stopped at the next viewpoint on the Tourist route, Akkarvikodden. Nestled on the side of the road amidst the mountainous landscape sits a toilet made of core-ten steel, which thanks to Kevin Roche’s use of the material on the Columbus Post Office is one of my favorite materials. 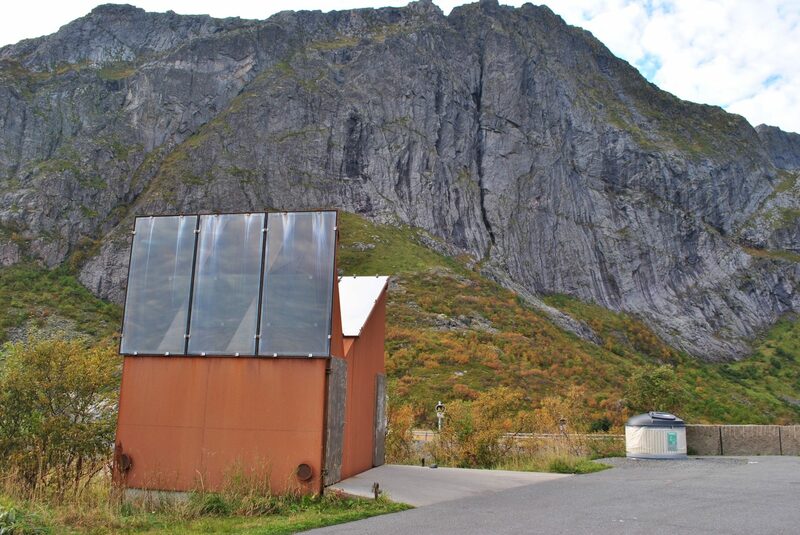 Very clearly inspired by the terrain beyond, it’s certainly one of the most interesting bathroom’s I’ve seen – and I’ve seen Sverre Fehn’s outhouse at the Norwegian Glacier Museum and of course Stanley Saitowitz’s follies in Mill Race Park back home. I always love core-ten exposed to the elements showing the passage of time. It grabs your attention but at the same time it isn’t overpowering the look out onto Vestfjorden or the mountains all around. I could think of worse places to stop and have lunch. After lunch I travelled to the next stop on the list, Nusfjord – a UNESCO world heritage site. I got there later in the day so there wasn’t much activity – but the drive down to the fjord was just stunning. The sun was starting to go down – but being above the Arctic Circle the sunsets are quite lengthy providing ample time for golden hour photography. 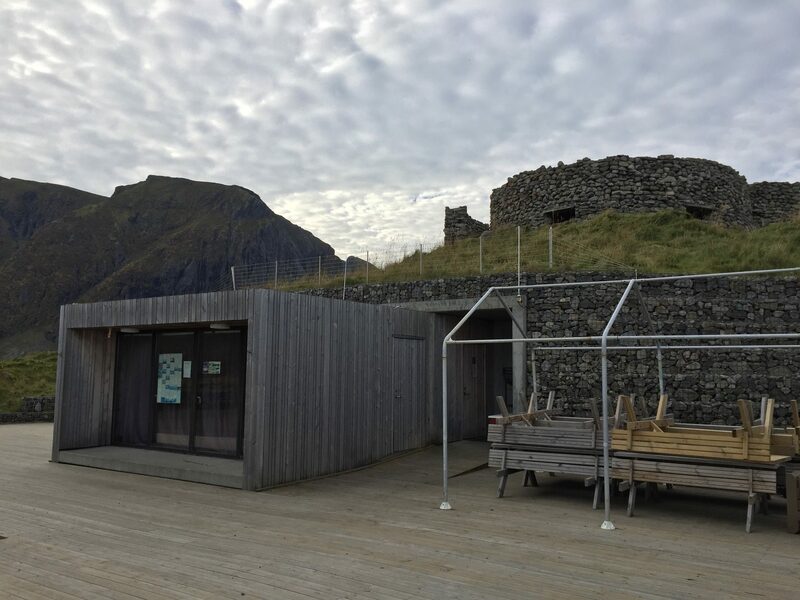 After Nusfjord, the next stop after climbing some steeper roads is Torvsdalhalsen – a beautiful lookout created with wood directing you to the horizon. 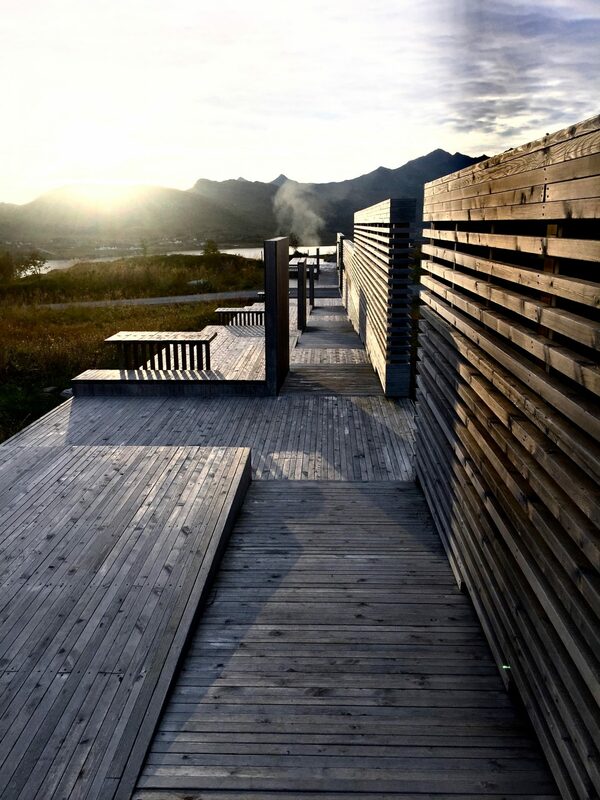 Torvsdalhalsen is beautifully detailed, a series of smaller areas to dine or just watch the sun set over the mountains. The perpendicular linearity, plus the wall separating it from the parking area made for an overall simple, yet stunning composition. Golden light definitely enhances the lookout. In a similar vein to Torvsdalhalsen, I came across another lookout. However, instead of landscape, you were looking at birds at a lake. Or I would have been if I had come to Lofoten in the summer. At this point the marsh area was dry, the birds had started going south, and all that was left was a sentinel in a beautiful landscape. The inside of the tower was pretty interesting, creating two distinct viewpoint heights. After Gardsvatnet, it was time to head back to the cabin to cook dinner, read a little, post pictures on Instagram (for someone into photography Instagram is pretty addicting), and get ready for the next day’s adventure. 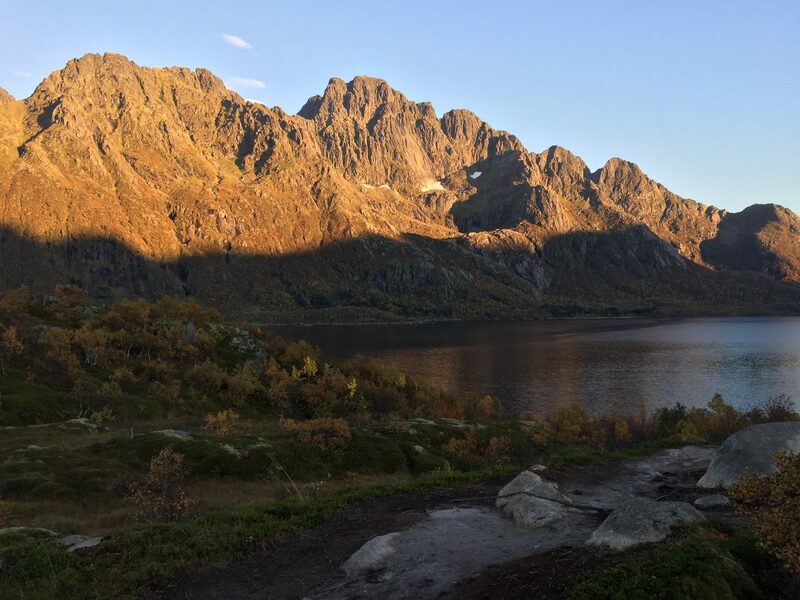 This would take me on the Eastern portion of the Lofoten Tourist Route while making my way to the Hamsunsenteret. 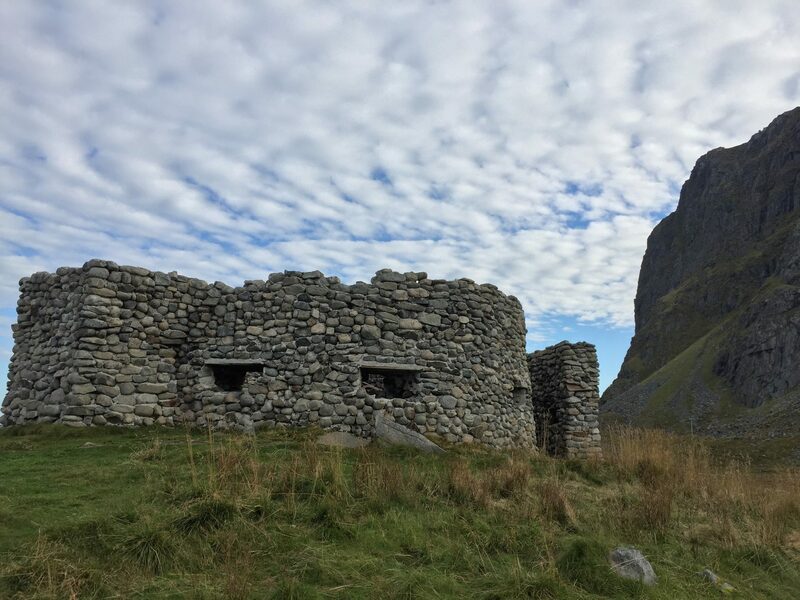 On the way back from the Hamsunsenteret, I stopped at the remainder of the lookouts and at another interesting building. Could you imagine all of our infrastructural architecture being well designed? Me neither, but in Norway they take pride in it. 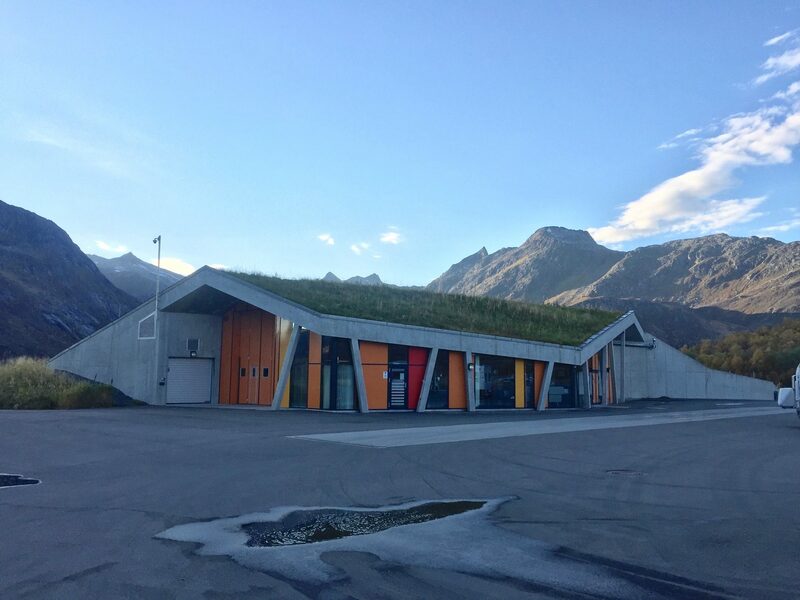 JVA created an angular building with a green roof at once calling back to the mountains and blending in with the landscape. Plus, it has orange cladding and we all know how much I like orange. Gullesfjord technically isn’t part of the Lofoten Tourist Route, although it is on the E-10. After driving a bit further west, you start the tourist route and drive through some amazing landscapes and super long tunnels. The last stop of the day before heading back to the cabin was a lookout overlooking the Austnesfjorden. Again it was closing on the golden hour, providing for some great shots of golden mountains. 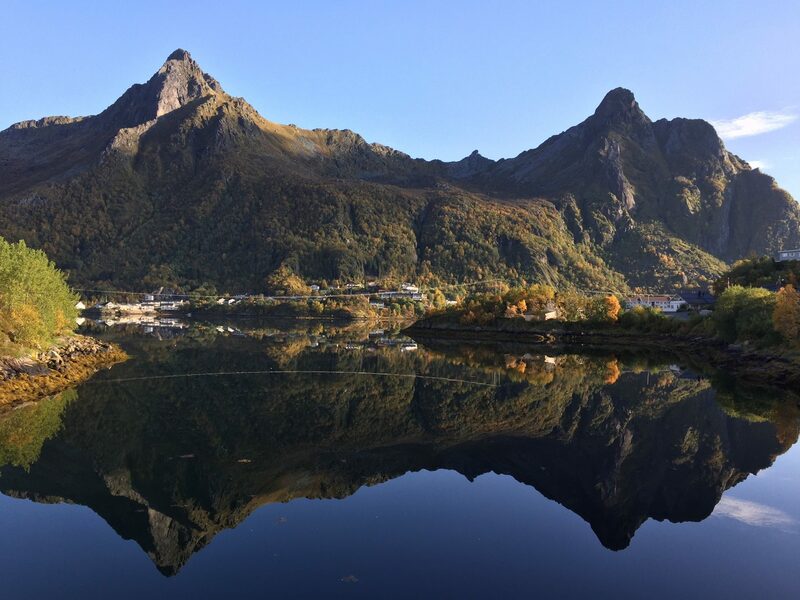 The landscape of the Lofoten Islands is overwhemingly beautiful, and very inspiring. I’d recommend a week here so you can do some hiking. 3 days was not enough. The way architecture works with nature here is very inspiring, and being in the landscape forced introspection. It was quite a peaceful experience before heading to one of Norway’s largest cities – Trondheim.